As a Care N’ Care member, you have access to many healthcare providers to meet your healthcare needs. Care N’ Care health plans include a defined network of local providers. 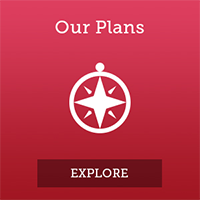 The plan covers emergency care or urgently needed services that you get from an out-of-network provider. If you need medical care that Medicare requires our plan to cover and the providers in our network cannot provide this care, you can get this care from an out-of-network provider. (Except in an emergency or urgent care situation, you need to obtain authorization from us before going to an out-of-network provider.) In this situation, you will pay the same as you would pay if you got the care from a network provider. The plan covers kidney dialysis services that you get at a Medicare-certified dialysis facility when you are temporarily outside the plan’s service area. You can get your care from an out-of-network provider, however, in most cases that provider must be eligible to participate in Medicare. Except for emergency care, we cannot pay a provider who is not eligible to participate in Medicare. If you receive care from a provider who is not eligible to participate in Medicare, you will be responsible for the full cost of the services you receive. Check with your provider before receiving services to confirm that they are eligible to participate in Medicare. You don’t need to get a referral or prior authorization when you get care from out-of-network providers. Out-of-network/non-contracted providers are under no obligation to treat Care N’ Care members, except in emergency situations. For a decision about whether we will cover an out-of-network service, we encourage you or your provider to ask us for a pre-service organization determination before you receive the service. Please call your Health Care Concierge or see your Evidence of Coverage for more information, including the cost-sharing that applies to out-of-network services. It is best to ask an out-of-network provider to bill the plan first. But, if you have already paid for the covered services, we will reimburse you for our share of the cost for covered services. Or if an out-of-network provider sends you a bill that you think we should pay, you can send it to us for payment. When you select a Care N’ Care in-network primary care physician, you’ll have a dedicated doctor who will focus on your individual healthcare needs and coordinate your care with other in-network providers if needed. This allows you to keep your out-of-pocket costs lower and more predictable. 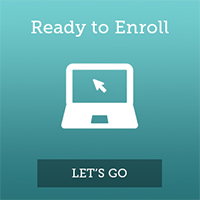 Finding a primary care physician and specialists when you need them is easier than ever. 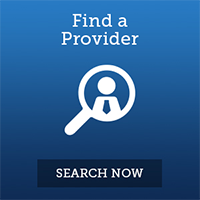 Use our provider search function to find physicians near you. The pharmacy network, and/or provider network may change at any time. You will receive notice when necessary.